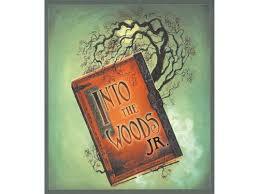 With a book by James Lapine and music and lyrics by Stephen Sondheim, Into the Woods JR. is based on the Broadway production which won several Tony Awards, including Best Score, Best Book, and Best Actress in a Musical. The musical follows a Baker and his Wife who learn they've been cursed with childlessness by the Witch next door. The couple embarks on a quest – swindling, deceiving and stealing from such already-victimized characters as Cinderella, Little Red Ridding Hood, Rapunzel and Jack (fresh off the beanstalk!) – to get the special objects required to break the spell. However, the story doesn’t simply end “happily ever after” as each character must now face the consequences of his/her decision. Now you can see the show at Cardinal Heights Theater. This site is a ticket outlet for a variety of events that utilize the Sun Prairie Performing Arts Center and the Cardinal Heights Theater. If the show you are looking for is not listed, tickets are not on sale yet. Please check back later. The Sun Prairie Area School District is not always responsible for setting prices or policy. Tickets are usually one price with discounts for students and senior citizens. Ticket Fees may be applied. There are no refunds, but tickets can be exchanged. Thank you for your patronage.